Supported living developer, VVHC, has appointed Bardsley Construction to deliver a £12.5m-plus extra care facility in Blackburn. The 109-bed facility at Albion Mill will include 50 extra care apartments, 31 en-suite rooms for intermediate care, and four rehabilitation apartments and is being developed for Blackburn with Darwen Borough Council and the local NHS. 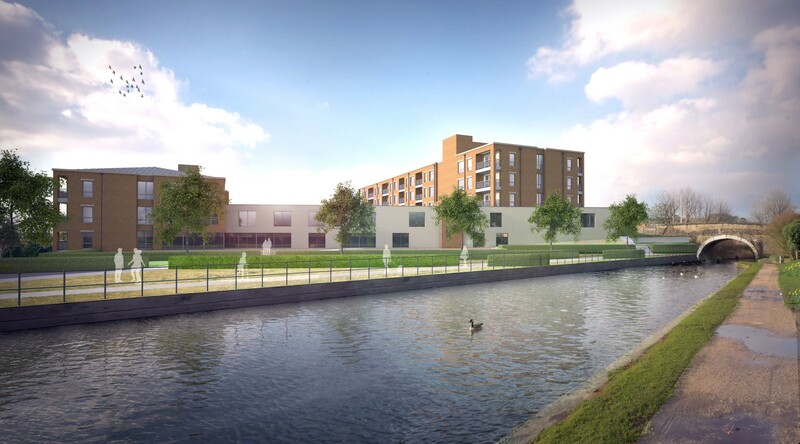 Two four-storey residential blocks will be linked by a three-storey building providing communal areas for use by the residents including dining room, TV lounge, library, hair salon, gym, consulting rooms, kitchen and staff accommodation. The development will also include provision of landscaping, parking, roadways and footpaths. “We’re delighted to be moving forward with such a critical project for Blackburn,” said VVHC chief executive, Roy Kenny. “By mixing extra care, specialised dementia care, and intermediate care in one bespoke development we can deliver enhanced outcomes at lower cost to local authorities and clinical commissioners. Work has started on site and is due to be completed in December 2019. Commenting on the project, Councillor Brian Taylor, executive member for health and adult social care at Blackburn with Darwen Council, said: “This project offers so much potential to improve the quality of life for our older people and help maintain independence. The intermediate care provision is jointly commissioned by Blackburn with Darwen Borough Council and the borough’s clinical commissioning group.